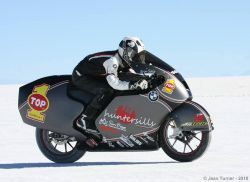 Erin Sills, former Facebook Executive, now holds the world record for fastest BMW Motorcycle (242 mph! 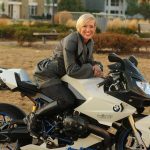 ), and she is coming to Bob’s BMW on May 4 in celebration of International Female Ride Day! At 11am, Erin will share the magic of land speed racing and tell stories of the incredible men and women who compete for top speed. You will enjoy video and photos from amazing places like The Bonneville Salt Flats and the Uyuni Salt Flats in Bolivia. Finally at 1pm anyone interested will ride with Erin to Scoop & Paddle Ice Cream Company! This is an all-inclusive event for all motorcycles, ages, and forms of riding. Riders unite on International Female Ride Day! Complimentary pastries and coffee will be served before and during the presentation. Please email hanna@bobsbmw.com if you plan on participating in the group ride.